New Holland’s line of versatile skid steer is very diverse in size and power. Their line of L200 skid steers covers every skid steer class and performs at the top. When it comes to New Holland Skid Steer Tires, Monster Tires covers every model and size and our tires outperform the competition. Monster Tires offers the lowest prices on New Holland Skid Steer Tires and working with us is working with the top distributor in the industry. Contact Monster Tires today for a quote on your New Holland Skid Steer Tires.Are you looking for high-quality construction tires for your New Holland Skid Steer? Monster Tires has the New Holland Skid Steer Tire Size Options you need to get your equipment back on the job site. Our New Holland Heavy Equipment Tires are Affordable and Dependable! You can count on our Tires for New Holland Skid Steer to be dependable and affordable. Whether you need a Rear Tire Set for New Holland Skid Steer, a Front Tire Set for New Holland Skid Steer, or a full Tire Package for New Holland Skid Steer, we have the tires for you. Our Construction Tread Tires for New Holland Skid Steer are top quality and bottom prices. 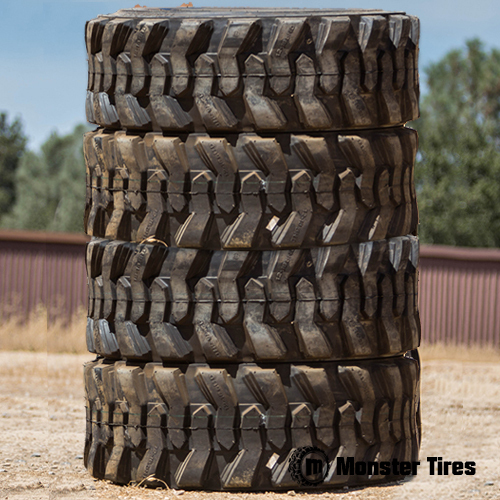 Trust in Monster Tires for your next set of New Holland Skid Steer tires!